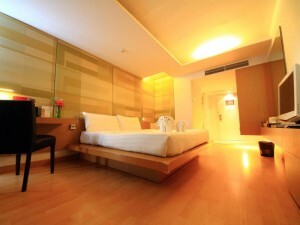 Le Fenix Sukhumvit 11 is a four star hotel on Sukhumvit Soi 11, one of Bangkok’s most popular nightlife and party streets. The hotel has modern, comfortable rooms decorated using Scandinavian style furniture and equipped with free Wi-Fi. 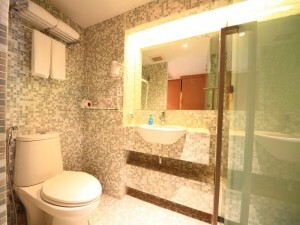 Rooms and facilities are modern and kept clean by the hotel’s staff. The hotel also has a great rooftop bar with views of nearby skyscrapers. Le Fenix Sukhumvit 11 has a great location close to Sukhumvit 11’s best bars and nightclubs, but it’s quite a long walk to the BTS and nightlife on Sukhumvit Soi 4. Luckily, there’s a free tuk-tuk shuttle for hotel guests that makes getting to Nana BTS station easy.